Once yo u have NexentaFusion installed you only need to add in your AWS access keys in the Fusion Settings. They can be found under the main cog – Settings – Public Cloud, this has to be set to allow NexentaFusion to interact with the Amazon API. From here on out the steps get easier and easier. 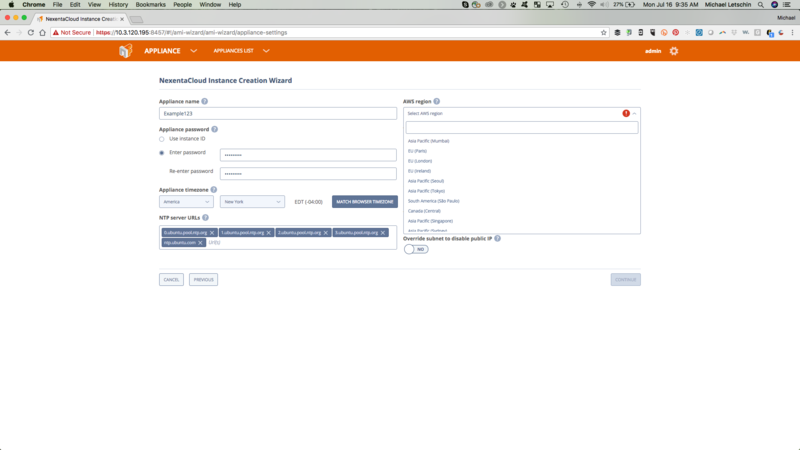 .From the All Appliance Screen you click on the “Deploy NexentaCloud Instance Button to start the wizard. 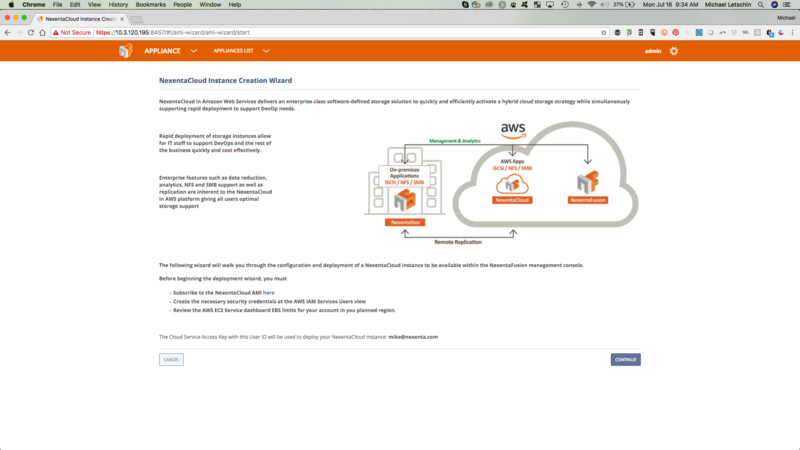 Next you will get an info screen to ve rify your access key and a reminder that you need to make sure to accept the EULA on the AWS Marketplace for the NexentaCloud Listing. The next part of the wizard will ask for basic machine information ( Name, Password, Timezone) and the initial AWS Configuration (Region, VPC, Subnet, Security Groups). If you dont have security groups set already, we can create one with the default ports needed. The last information you will need to enter is the type workload you will be using this system for and then drag the sliders to the appropriate capacity. 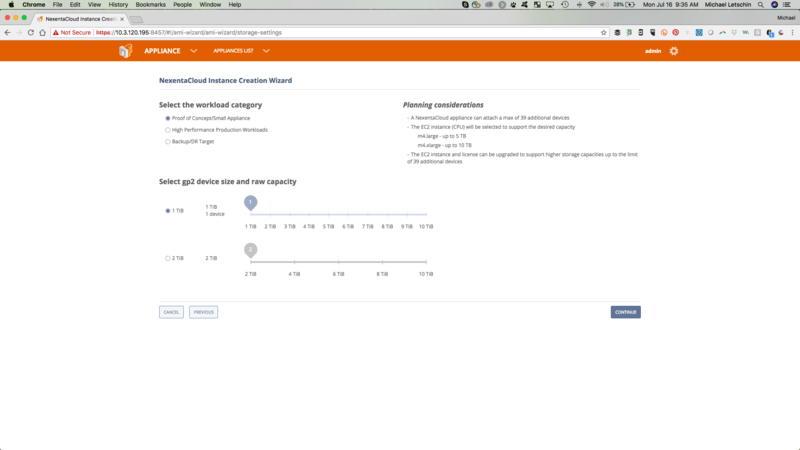 You can add capacity through the NexentaFusion instance later as you grow. Once you have confirmed the information, click Deploy Now. Within the next 30 minutes you will be on your way to using the Hybrid Storage Cloud that you have been trying to get to.